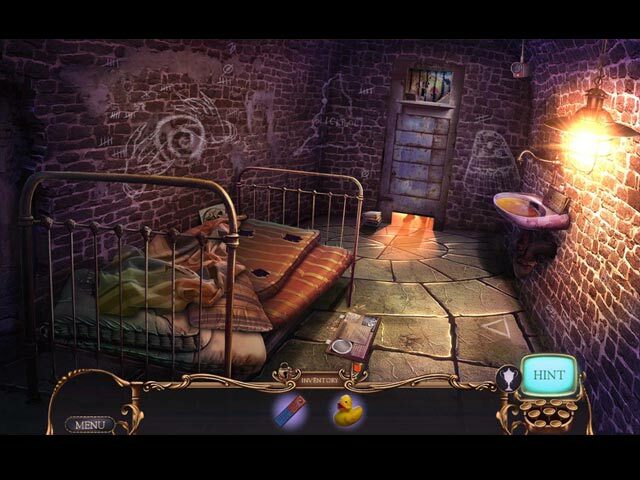 Warning - Mystery Case Files: Ravenhearst Unlocked is an intense psychological thriller intended for mature audiences. An all NEW release! In this insane continuation of the Dalimar saga, find out what happened AFTER the events of Mystery Case Files: Key to Ravenhearst! 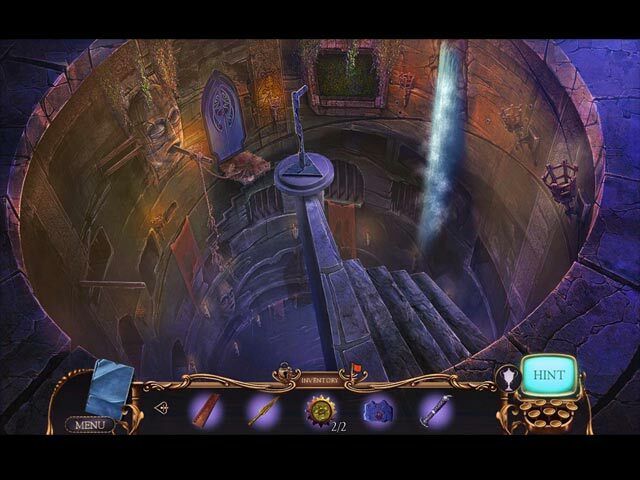 Eipix delves deeper into the past as you find yourself trapped in the very cell that the Dalimars once occupied. Can you stop Alister before he sacrifices everything - and everyone - in his maniacal quest for immortality? Or will his menacing granddaughters stand in your way? You'll love the loads of mini-games embedded throughout this adventure. The HOPs are full of variety, with silhouette, listed, interactive, and more to choose from! Eipix's continuation of the blockbuster Hidden Object Puzzle Adventure series will leave you breathless, with loads of mini-games embedded throughout your adventure. 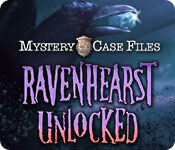 Mystery Case Files: Ravenhearst Unlocked is rated 3.5 out of 5 by 24. Rated 4 out of 5 by IPickYellow from Can You Trust Reviews? Going by reviews alone, I probably would not have purchased this game. But I decided to give MCF another chance. I've played these games for a good number of years now. MCF was always one of my top faves, though when it went a little silly a few years back, I lost some faith in it. Mysteries should be mysterious, otherwise don't attach the name. When MCF came out with the very complicated, multi/mini-puzzle puzzles, I know many players were put off, but I enjoyed them immensely because they were fresh and original and all of their put together elements made them visually appealing to me. Some of the MCF story lines are a bit bizarre and don't always seem cohesive, and this one was no exception (why it didn't get 5 stars). But I totally enjoyed playing it for the puzzle quality, ambient music and length alone. I guess I can tolerate confusing story lines as long as they're not insipid and/or stupid. The length was as long as many CEs. But in hindsight, I kind of wished I'd purchased the CE to possibly download the soundtrack music, which I really enjoyed (especially the one that kept being played during the HOGs). And on that subject, I hope devs are aware of how the ambient music can make or break the enjoyment of gameplay, and endeavor to incorporate top quality music into their games. Guess I'll have to quit going by reviews and go back to downloading and trying out games, before deciding what's a keeper and what's trash. And I'd advise all of you to do the same. Rated 4 out of 5 by denniann2 from surprisingly not as good game as the others there is a custom level and a map. it is visually strange and intense at times. gave me the heebie jeebies a few times and i am used to these kinds of games. alistair dalimar is back and trying to take over the world again. he is just as evil as before but in this one a whole city rises out of the sea. this wasn't as good a game as the ones that have come before it. sequel.......of course!!!! it is still a good game, but i was a little disappointed. Rated 4 out of 5 by Shastanna from Great puzzles and HOP scenes! I am surprised by some of the negative reviews I've seen us this game. If you don't like puzzles, then this game isn't for you, because these imaginative puzzles are what makes these games great! It is a Ravenhearst, which is famous for it's "Rube Goldberg" type puzzles, which are totally fabulous and very challenging. I thoroughly enjoyed this game, but I did take 1 star off because the music score did not seem to match the mood of the game, which was a bit distracting. Rated 4 out of 5 by deddu from Ravenhearst Unlocked Long and varied SE game. I really liked the complex mini-puzzles where you can complete one, take the item and use it on the next puzzle. You can skip each one individually in needed. 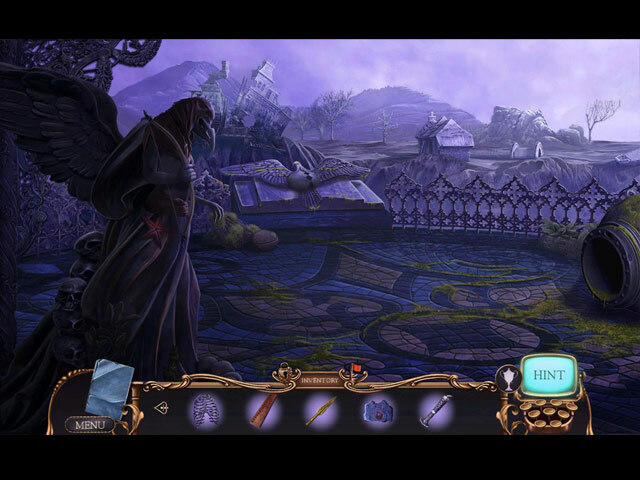 The graphics were dark and grim and the hidden objects were matching, silhouette and use some objects to obtain others. Rated 4 out of 5 by AsiaMinor from , Great game but not as good as previous MCF's games. It played for about 8 hours. Rated 3 out of 5 by isaacat from What??? I have enjoyed the past games in the Ravenhearst series so I looked forward to this. My thoughts about this game are about as jumbled as the game itself. I thought the story line really got out of hand and didn't have much of a connection to the past games. Maybe it's just me but I did not enjoy this game and was very disappointed. I don't enjoy the puzzles so I usually skip over them. The HOS were same as usual. The developers could have finished up the game much better than this. If you enjoy unconnected, weird game play, maybe you'll enjoy this. Rated 2 out of 5 by LiloPachonD from so sad to see how this wonderful story was distorted I am a Ravenhearst fan since the first one came out. So sad to see how the new developers distorted the story to be able to sell it. In a way it reminds me of Alien and how the story turned into something so ridiculous as Alien 5. Rated 2 out of 5 by BFG_fan from Oh so disappointed Have played every MCF game since the first and they are now just getting more and more boring. There is little or no challenge to any of the very infrequent games and puzzles. Nothing new here at all. Unfortunately MCF have morphed into just another boring hidden object game with hardly any hidden object puzzles. Won't be buying any more. Rated 2 out of 5 by saltspray27 from Not to my liking. I will not play this game again. Every scene including the hidden objects were way too macabre. Also, some of the puzzles were hard to solve. I had to use the skip button. Rated 2 out of 5 by englanddragon from storyline fail this one really took a turn that should not have been taken is is so far from the ravenherst story. your confused from the beginning and then when things do come together in a plot I was not impressed. Rated 1 out of 5 by J9CT from I don't think I want to finish this game...... I have never not finished a game and especially a Mystery Case Files game and it makes me sad that I don't want to finish this. Just like Key to Ravenheast, this game doesn't look or feel like MCF but more like a current Hidden Expedition game. The graphics are beautiful but doesn't fit the old creepy Ravenhearst storyline. The level of challenge I put as awful because most of the puzzles are so hard that I don't even want to attempt them and just end up skipping them due to lack of interest. There is just too much to do with too many bits and pieces of inventory. The storyline is also way over the top and I can't keep track of it. Maybe I will finish this game someday but I just can't get myself to push through the boredom. Rated 1 out of 5 by mixedmedia from Death of Ravenhurst Not only has MCF abandoned the once wonderful graphics, they have quit even trying to maintain the storyline of Ravenhurst. Very disappointed. Bought the Key to Ravenhurst on sale. Won't bother with this last (it should be!) installment. Rated 1 out of 5 by MAG57 from no fun these games just don't make sense. For that reason, it is no fun to play. Rated 1 out of 5 by Darklldo from The end of Ravenhurst I hung in with this game until about three quarter the way through then decided it was too dark, too ugly, too unpleasant and too totally drear to continue I have all the Ravenhurst games and have played them all to the end, but this one needs to be ditched, it's gross.